1. Italian HSD 9.0 kw Air cooling spindle: Well-known brands ,long working life, low noise, strong cutting ability to ensure the long time working,easier to change bearing. 2. 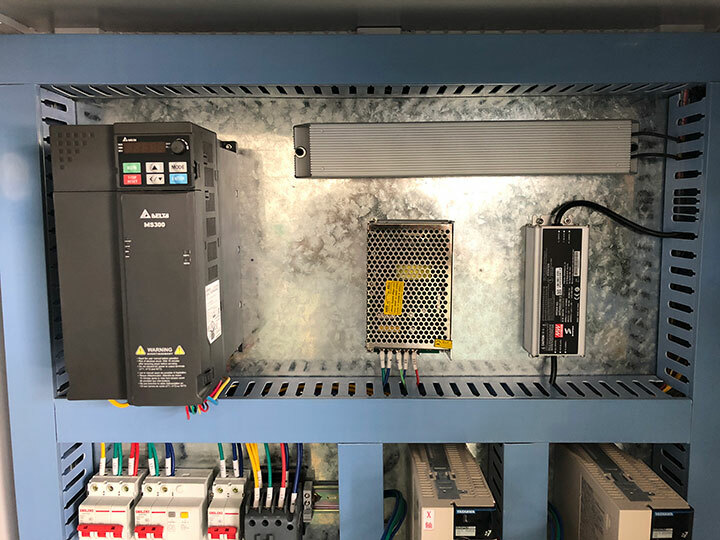 Japan YASKAWA servo motor and driver: High-performance drive motor to ensure that the machines high speed and accuracy. 3. 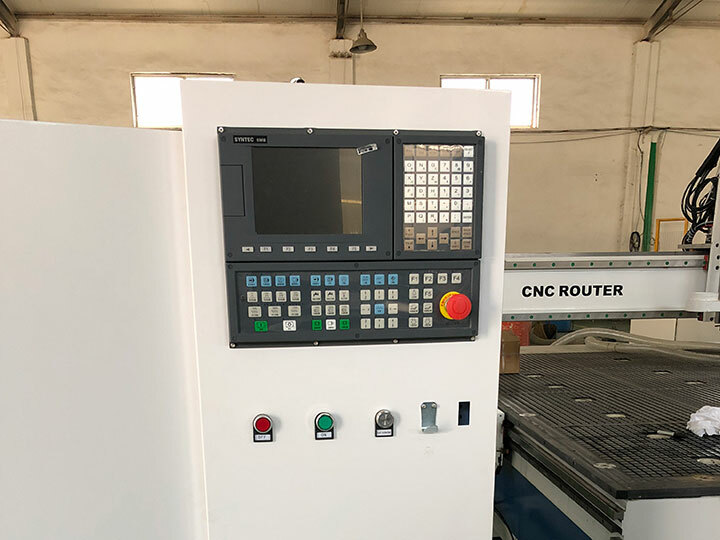 Taiwan Syntec control system: Specified for carousel ATC CNC router, linear ATC CNC router and other high configuration CNC machine. 4. New type 8 pcs carousel tool changer, can hold more tools, save more time. 5. Double layer compact table:strong,durable and easy meets different uses. 6. 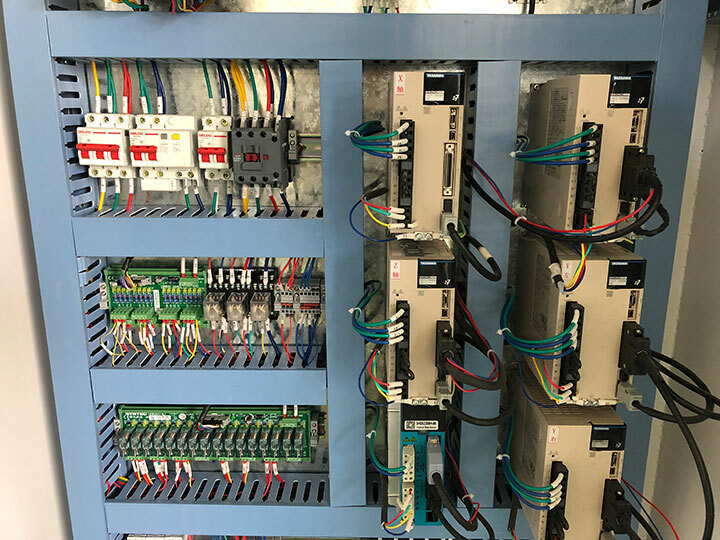 New technology Delta inverter, guarantees the high working speed and accuracy, and can realize milling with high speed,high rotating precision,good rotating with low noise. It engraves without any ripple but with smooth bottom level and clear outline. 7. With 4 axis rotary can process cylinder materials. 1. 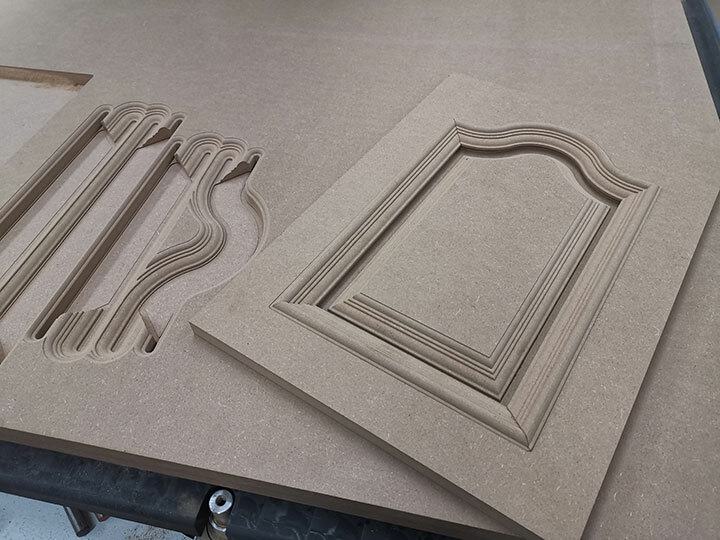 Woodworking industry: Three dimensional wave plate processing,cupboard doors, wooden doors, window processing, video game cabinets and panels, computer table and furniture auxiliary processing. 2. Advertising industry: advertising signs, logo production, acrylic cutting, plastic molding, a variety of materials advertising decorative products production. 3. 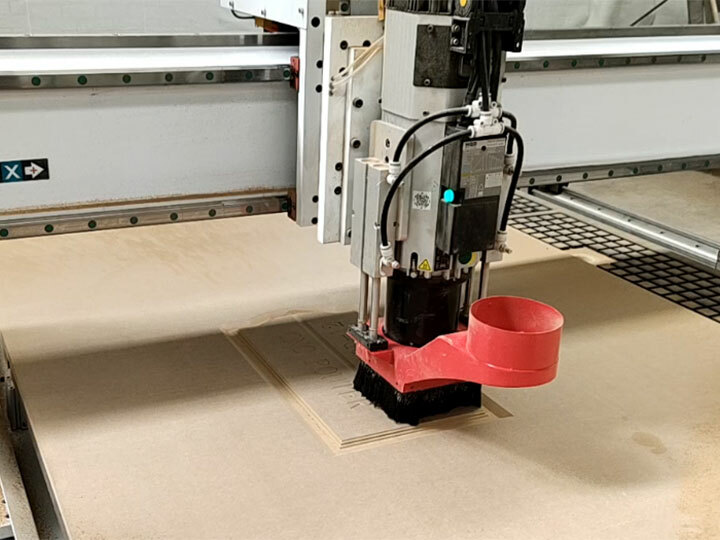 Die Industry: You can engrave copper, aluminum, iron and other metal molds, and artificial marble, sand, plastic plates, PVC pipe, wood and other non-metallic mold. 4. 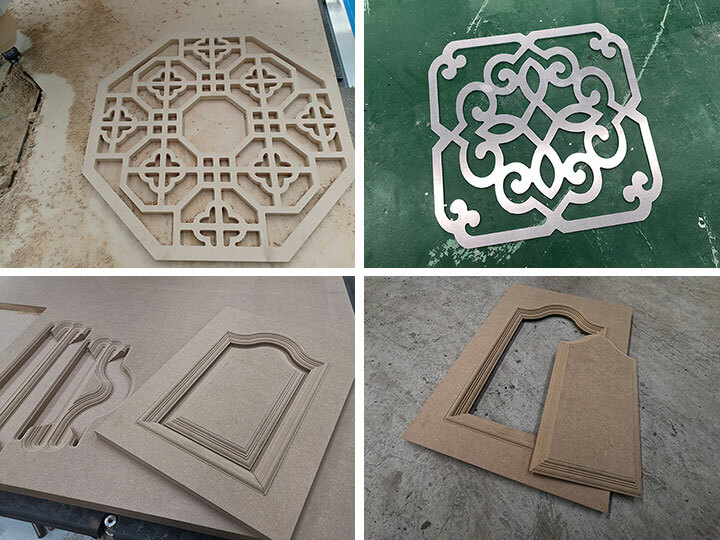 Other industries: You can carve all kinds of large relief, shadow carving, widely used in craft gift industry. 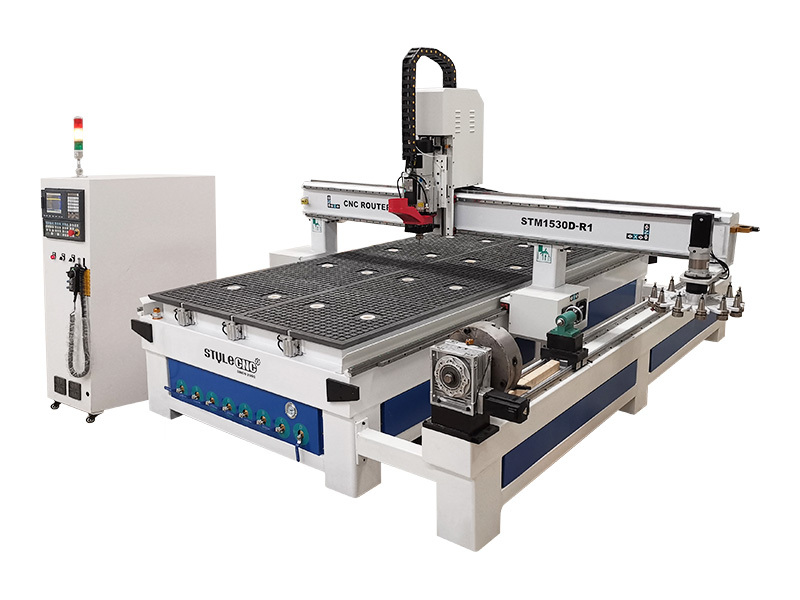 License: The text of "STYLECNC® CNC wood machining center with 4th rotary axis" by STYLECNC is licensed under a Creative Commons Attribution 4.0 International License. 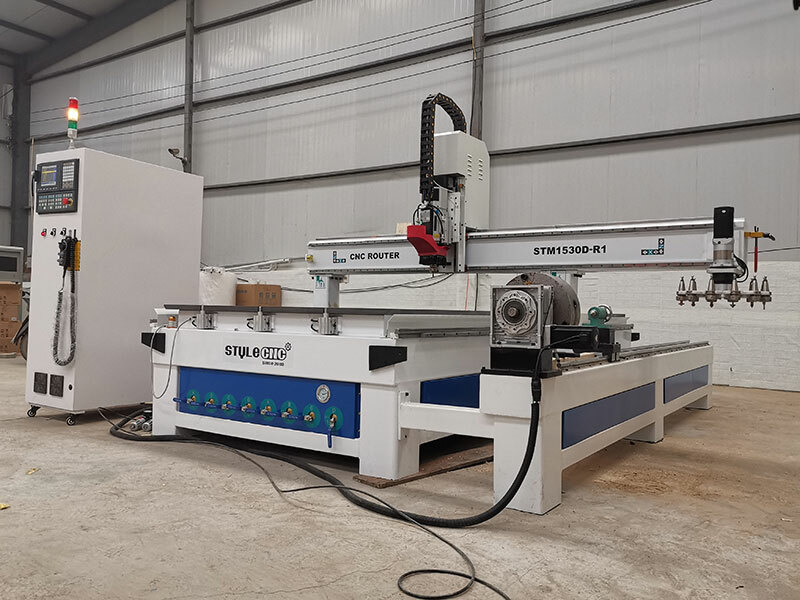 CNC router with 4 axis rotary for Lebanon customer is fixed on the side of table, for reducing the moving time. 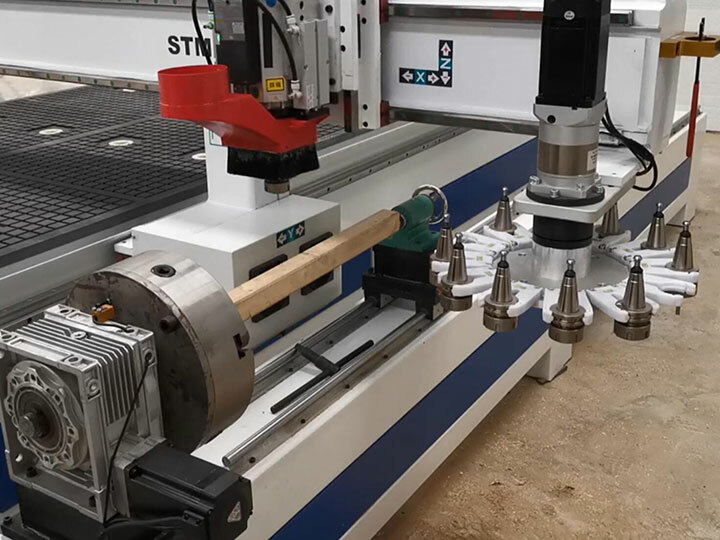 4 axis rotary CNC router can process wood panels and columns all in one.